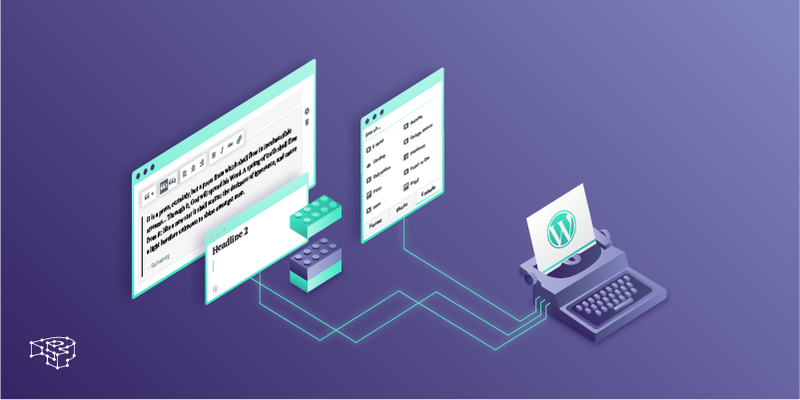 WordPress 4.9 is officially out, introducing many new features that improve your workflow and help you write code more safely! Several Customizer improvements add exciting new functionality geared towards designers, enhancing collaboration, theme design, and change management. Several Developer-oriented features introduce code safety measures, API improvements and more. Let’s see them all! Draft and schedule design changes: It extends the same “schedule” functionality of posts to site designs! Site design preview links: WordPress gives you a preview link enabling project collaborators to view your design changes and send feedback. New locking features: Similarly to post locking, editing a draft design now prevents other people from making any changes to it. 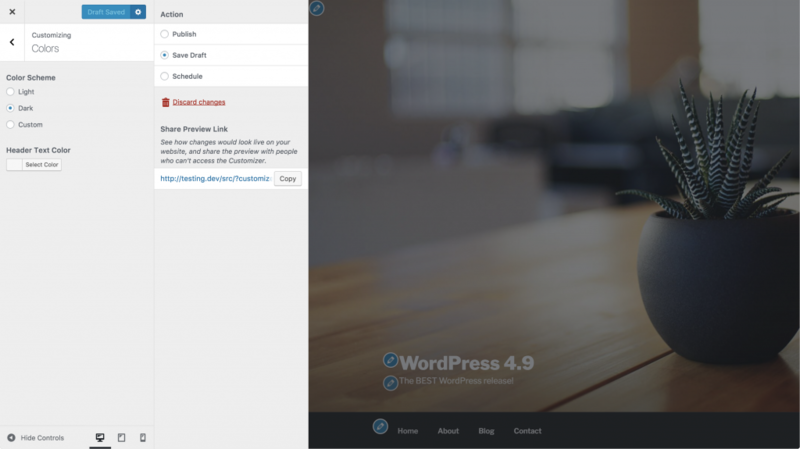 WordPress 4.9 also prompts you to save your unsaved work or not. Code mirror library available in WordPress 4.9 Core offers syntax highlighting, validation, auto-completion and more. 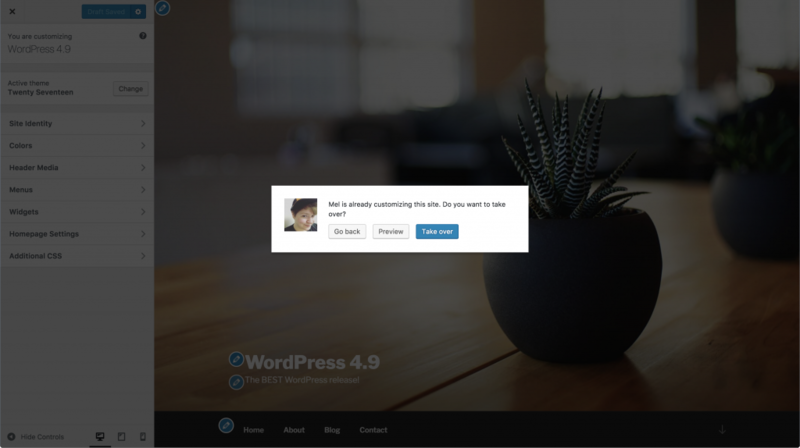 Safety features: WordPress now warns you if you have errors when you save your work. It will also warn you when you edit files directly, and instead prompt you to draft your changes and test them. Search and browse themes from within the Customizer using fields such as subject, layout and features. 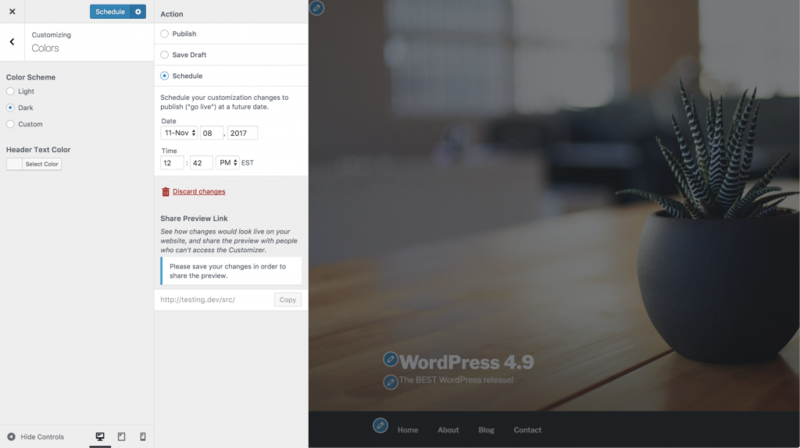 Better theme switching: WordPress 4.9 offers better widget and menu placement when you switch themes. Customizer JS API improvements: Improvements in the JS API include drafting/scheduling of changesets, autosave revisions, changeset post locking, frontend public previews, smoother user experience for browsing, installing themes and creating navigation menus, and many more. Media Element upgraded to 4.2.6 offers many new bugfixes, updated UI, additional iOS and Mac OS support and many more. Improved roles and capabilities: More granularity for managing plugins, language files and many more! Following our WordPress core update policy, we normally start automatically updating our customer sites two weeks after the official launch date of each new release. To make sure everything is working as it should be, we’ve decided to make the upgrade to WordPress 4.9 on Monday, 4th of December, 2017. 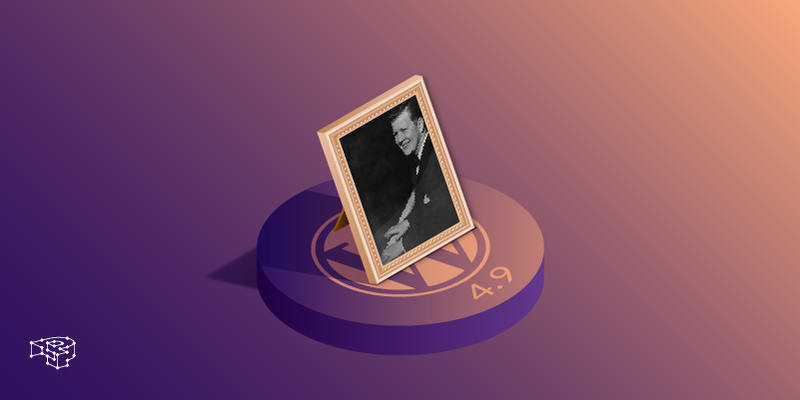 Also, once we push our 4.9 release and make it available for new WordPress installations, any customer who is not willing to wait for our usual grace period to pass, will be able to update their sites. They can do this by using the manual update process outlined in this support article. If you have any further questions or queries, you’re welcome to either submit a support ticket or contact us.